Nigeria requires annual investments of up to $10 billion to tackle its infrastructure deficit, according to government officials in Abuja. 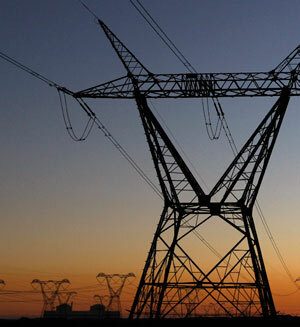 Much of the investment would be focused on meeting the government's target of building electricity generation capacity to 40,000 megawatts by 2020. The administration of president Goodluck Jonathan last August announced a plan to end the government's control of the electricity sector, noting that the country's economy could post annual growth above 10% if there were an adequate power supply. Africa Finance Corp., a West African multilateral development bank, announced plans to make its first investment in Nigeria's electricity sector, though details of the outlay were not provided. Zimbabwe's central bank (RBZ) has unleashed a major internal restructuring to focus on its core mandate as the country's monetary authority. The plan calls for, among other measures, laying off at least 1,600 workers, equal to some 74% of its total staff. The RBZ has a $1.2 billion debt load, of which 65%, the bank's governor Gideon Gono claims, was inherited from previous administrations. The Development Bank of Central African States, based in the Republic of Congo, was slated to hold its first-ever treasury bill auction in late December, through which it expected to raise nearly $61 million. Proceeds from the sale of the seven-year notes will be used to fund projects in the six member states of CEMAC, the Economic and Monetary Community for Central Africa. The bank's mission includes funding infrastructure developments in the region. Financial inclusion in South Africa improved in 2010, albeit slowly, according to the annual FinScope Survey. The survey shows 76.5% of adults had access to financial services last year, up from 76.4% in 2008 and 73.9% in 2009. The percentage of South Africans with formal savings accounts rose to 24% in 2010, from 21% in 2009, while those with credit products remained steady at 33% for both 2010 and 2009, compared with 28% in 2008. Those with formal insurance products rose to 40% in 2010, from 31% in 2009. 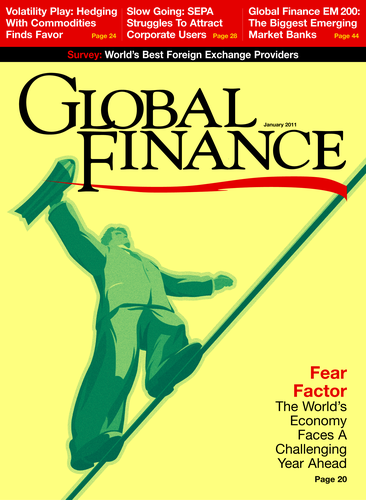 Financial illiteracy and high unemployment remain barriers for banks looking to capture a higher percentage of the unbanked population, though jobs created during the 2010 FIFA World Cup prompted many workers to establish banking relationships in order to facilitate wage and fee payments.